It’s not every day that you get to meet a designer who lives on the Isle of Man. Vicky Webb (crumpetsandcrabsticks) designs from atop a hill overlooking the quay in the Isle of Man’s capital, Douglas. The picturesque island is nestled between England, Ireland, Scotland and Wales. Keep reading to learn about Vicky’s sources of inspiration and all the tools she has in her designer tool box! In the latest edition of our Meet the Designer series, we discuss the creative process with Vince Desjardins (Vinpauld), a designer living in Bloomington, Indiana inclined toward trees, birds, and vintage items. Vince recently also made the top 5 in our Aurora Borealis Design Challenge. Visit his Spoonflower shop and read on to learn how he incorporates wildlife into his imaginative ditsy and toile designs. In the latest iteration of our Meet the Designer series, we discuss life and creativity with Kate Fearn (Petite_circus), a designer and illustrator who works from home in the Stroud Valleys, UK. 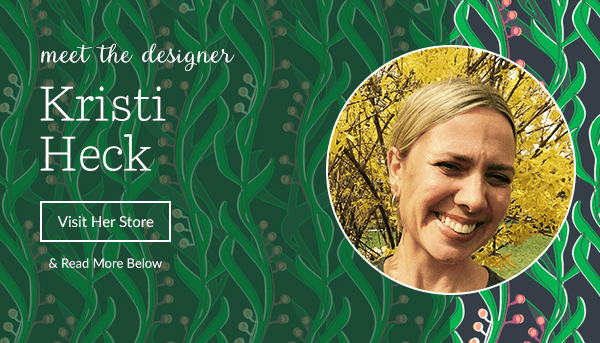 With 14 years of in-house experience designing and illustrating children’s books, she has more recently broadened her portfolio to include surface design. Her work is inspired by everything from historic textiles, to English heritage, and fairy tales. 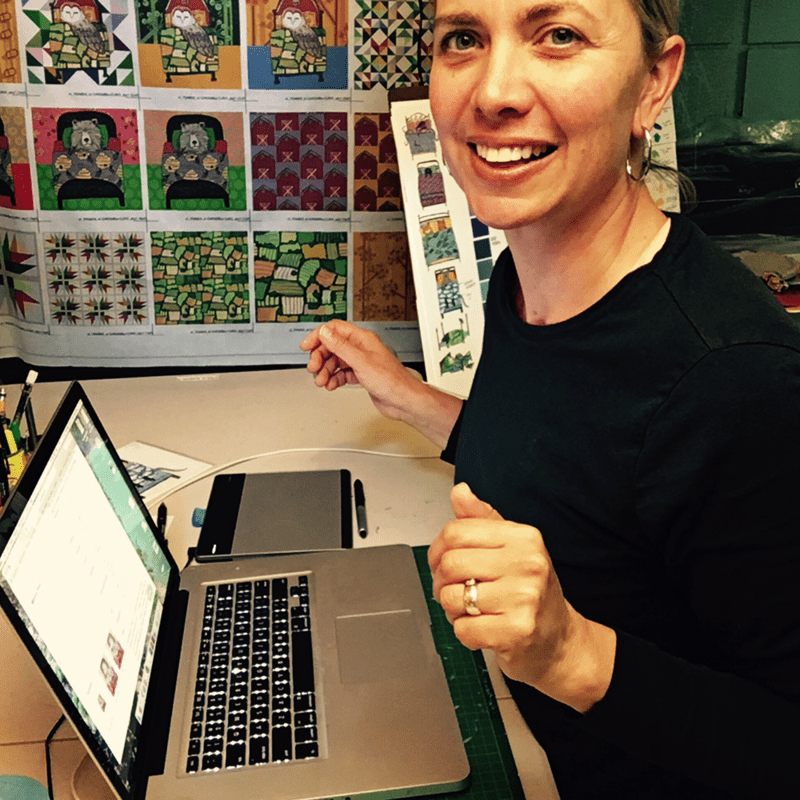 Visit her Spoonflower shop, check out her recent winning “Vintage Christmas” design, and keep reading to find out what she’s up to these days.